Zimbabwe will struggle to get financial support from international financial institutions due to its high debt levels, the International Monetary Fund (IMF) has said. Gerry Rice, the IMF spokesperson, said the southern African country need policies that would stabilise the economy. 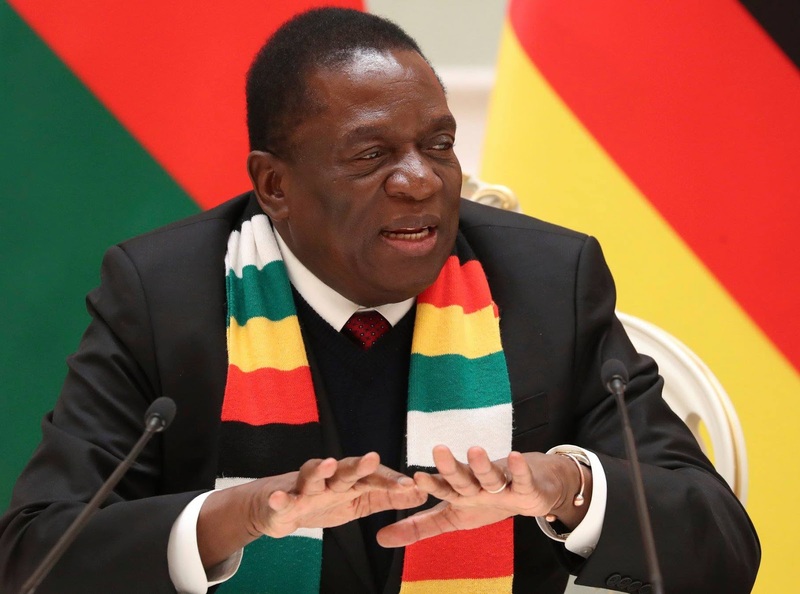 “I would say that of course Zimbabwe is facing major challenges and just in terms of the unrest, we encourage all stakeholders to collaborate peacefully in developing and implementing policies that will stabilise the economy and promote sustainable and inclusive growth,” he said. “On the overall economic situation, debt and the IMF, there has been no real change in what I have said here recently which is why Zimbabwe continues to be in a difficult situation regarding debt with protracted arrears to official creditors including multilateral creditors such as the World Bank which severely limits Zimbabwe’s access to international financial support,” Rice added. The southern African country is battling its worst economic crisis in a decade due to a severe shortage of foreign currency resulting in fuel shortages, labour unrests, temporary company closures and high unemployment rates. Market analysts say the current fuel crisis is just part of Zimbabwe’s overarching economic decline under President Emmerson Mnangagwa, who briefly inspired hope after taking over from his mentor, longtime ruler Robert Mugabe with the help of the military in November 2017. Zimbabwe’s economy, which was already struggling when Mnangagwa took over, has dramatically tanked since he narrowly won disputed elections in July last year. Inflation rose to 31 percent in November last year, the highest since 2009, while foreign currency shortages could force some of the few factories still operating to close soon. “In terms of the IMF, Zimbabwe has, in fact, cleared its arrears to us, to the Fund, but our rules preclude lending to a country that is still in or under arrears to other international financial situations. So until that particular situation is resolved, we would not be moving forward with financial support for Zimbabwe. “I said here the last time that the authority’s economic policies we felt were headed in the right direction broadly in terms of addressing the fiscal deficit and monetary policy and so on. I won’t repeat what I said the last time but that’s where we are on Zimbabwe,” Rice said. Zimbabwe abandoned its own currency in 2009 after hyperinflation reached 500 billion percent, according to the International Monetary Fund. The United States dollar has dominated daily transactions since then. But due to widespread shortages of dollars, most people must now use a government-issued surrogate currency called bond notes, which are supposed to be equal to a US dollar, as well as electronic money. Both are quickly devaluing against the dollar on the black market. Some businesses such as pharmacies are now only accepting United States dollars in cash. In the fuel sector where the government controls prices, fuel companies are forced to accept bond notes and electronic money for petrol and diesel at the official exchange rate.